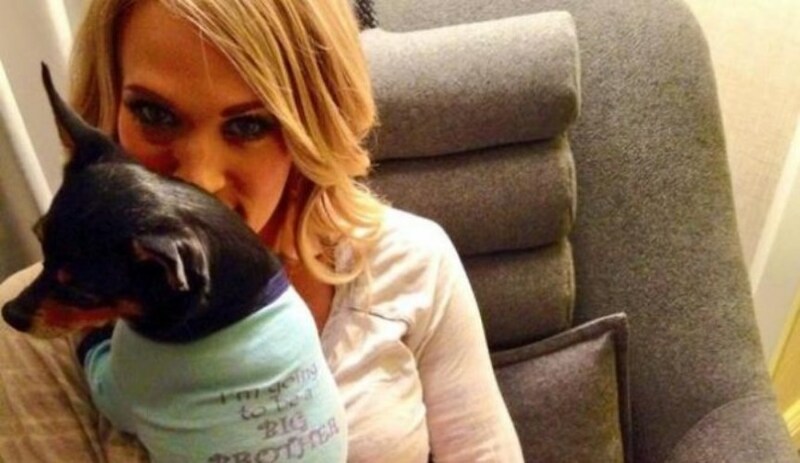 Country crooner Carrie Underwood is excited about becoming a mom. Known for her dedication to a healthy lifestyle, Underwood follows a vegan diet. But now that she's pregnant, her trainer has modified her workout to help her stay fit safely, reported "Hollywood Life" on Oct. 3. Carrie's personal trainer is Erin Oprea, who is a former U.S. Marine. As a result, Erin keeps Underwood on target with supercharged lunges. The moves help with Carrie's balance and flexibility while toning her legs, because she must stand on one leg during part of the exercise. The trainer is a believer in the "no pain, no gain" theory. "I love the burning feeling that comes during the leg extension hold," said Erin. "Not only will you tone your legs, but you’ll also get an added core workout from balancing on one leg while holding the kicking position. On top of toning my legs, I get an added core workout from one-legged balancing while holding that squeeze in the kicking position." In addition to her workouts, Carrie is dedicated to a healthy diet. She eats a primarily vegan food plan, revealed the Inquisitr on Oct. 3. "I am a vegan but I consider myself to be a practical vegan. If I order something on a menu and it has a sprinkling of cheese on top I’m not going to send it back," Underwood explained.